Wil Smith over at http://www.wmsmithphoto.com sent over this old picture of Curtis on his old Karpiel Armageddon. 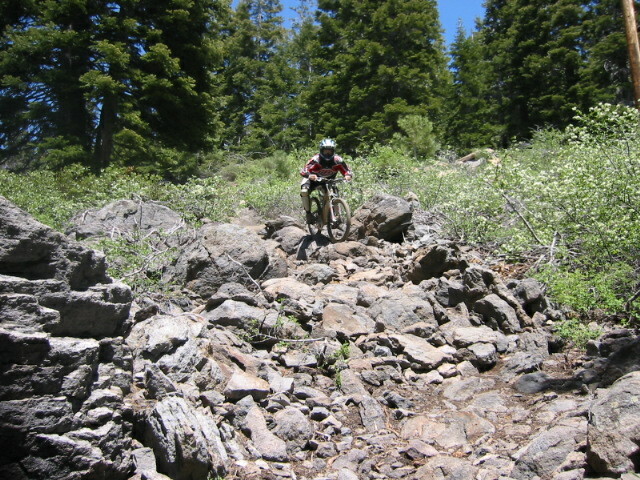 Can anyone guess what trail this is? I was going to say Ophir creek. But I remember the Incline DH, miss it. Yup, that was a fun ride. As I remember I think someone broke their wrist on the section?